What is poor foot alignment? Poor alignment of the foot can take many forms, with the most commonly being a pronated foot (rolling in at the ankle). This is usually associated with a lowering of the medial longitudinal arch and eversion of the heel/calcaneus (tilting inwards). Another example of poor alignment is the higher arched foot. The visual appearance of the foot may not be important as how the foot functions during gait. Those with high and low arched feet have been shown to function differently(3). Those with lower arched structure tend to have more foot eversion (valgus or pronation) and greater internal rotation of the leg. Those with a higher arch structure were shown to have a poorer ability to absorb shock. In a separate study, the same group of authors(4) showed that runners with a higher arch structure had more injuries to the ankle, bone and the injuries were more lateral (outside) whereas the lower arch foot had more injuries to the knee, soft tissues and the injuries were more medial (inside). The maximum amount that a foot pronates (everts) is independent of the height of the arch(5) and similar amounts of foot pronation can be seen in those with high and low arch(6). 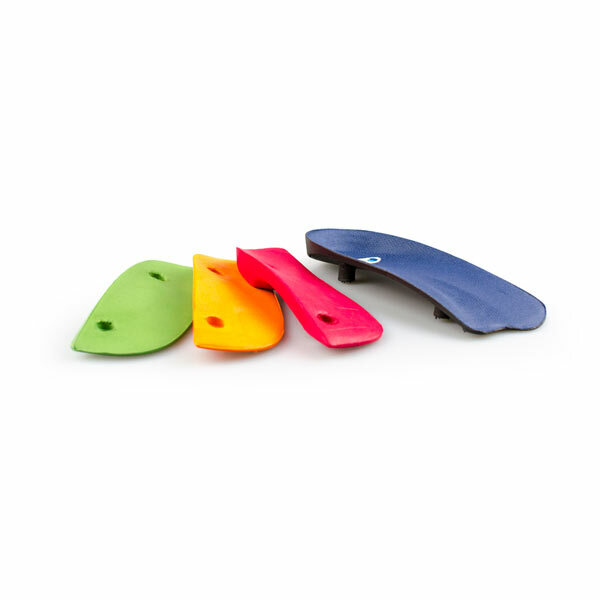 This suggests that any sort of foot support or orthoses for the management will need to consider a lot more than supporting the arch or midfoot. What is now becoming increasingly recognised is that poor alignment can happen in differing amounts in different directions in different feet. As a result of this understanding, no one measure of the way the foot looks or functions is considered appropriate(7). There are many different measurements that attempt to quantify the arch, foot alignment or posture or foot shape, but the correlation between each measurement or observation is not good(8). A recently developed method is to use a composite score of a number of different observations of different parts of the foot. This ‘Foot Posture Index’(9) incorporates observations of foot malignment in different directions (eg height of the arch, amount of heel valgus, amount of medial bulging of the midfoot, the amount of bowing of the achilles tendon, etc). This composite score is considered important to allow for the so-called different “planes of compensation” of the foot. This shows that the poor alignment of the foot can occur in any or all of different body planes (frontal, sagittal and transverse). and a variety of other postural related symptoms. Foot, leg and back discomfort are common among those with poor foot alignment, especially if they are active or on their feet all day on hard surfaces. Prefabricated foot orthoses made by Interpod Ltd have been shown to improve the foot malalignment that is associated with these symptoms (1). Not all commonly used prefabricated devices have been shown to change the foot alignment (2). Not all those with poor foot alignment (whichever body plane it occurs in) develop problems or symptoms. A change in foot alignment does not necessarily cause symptoms, but it does increase the risk that it might happen(10). Various studies(11),(12),(13) have linked various lower limb alignment characteristics to the risk of developing symptoms. Those runners that pronated more in the rearfoot had more shin splints(14) and other lower limb overuse injuries(15). Naval recruits had almost twice the risk of getting shin splints if they had a pronated foot type(16). Those with bunions and hallux valgus have been shown to have feet that have a lower medial longitudinal arch(17),(18). However, not all studies are in agreement that a lower medial longitudinal arch is a sole risk factor for overuse injury(19). In a study of 99 grocery store employees, no relationship was found between arch configuration and lower limb pain scores, indicating that the height or configuration of the arch may not necessarily be a factor in lower limb pain(20). Other planes of compensation may need further consideration in these types of prospective studies. A lowering of the medial longitudinal arch is compensation in the sagittal plane of the body whereas eversion (rolling in) of the heel is a compensation in the frontal plane. Any attempts to decrease symptoms from foot problems associated with poor foot alignment may need to account for these compensations in both body planes. As well as poor alignment, shock absorption also appears to be important in reducing impact loading and improving comfort. 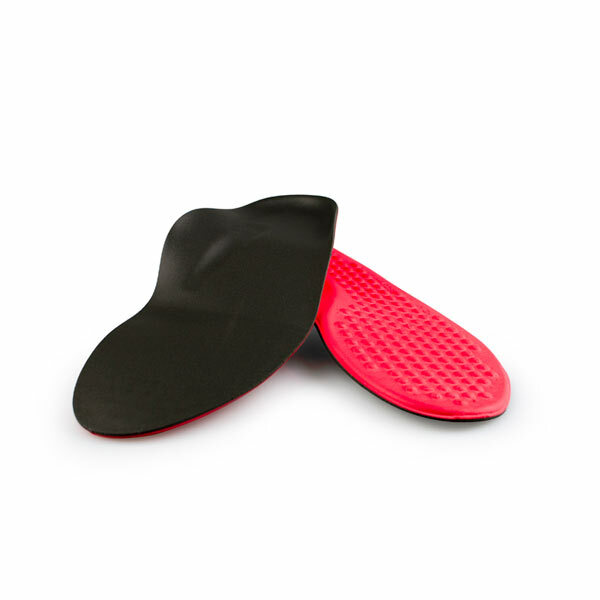 Many studies have shown that shock absorbing insoles can reduce foot pain, when a lack of shock absorption is considered the problem (26-29). Comfort may be an important factor and it is speculated the comfort may delay the onset of fatigue (30). Many studies have shown that both prefabricated over-the-counter and custom made foot orthoses or supports can alter the abnormal function of the foot associated with poor foot alignment(21),(22). Foot orthoses can decrease postural sway(23), thereby decreasing the risk for falls. They been shown to be helpful in selected cases of chronic low back pain(24). These types of studies need to be interpreted with caution as foot orthoses are only indicated when foot alignment is a factor in the pain. 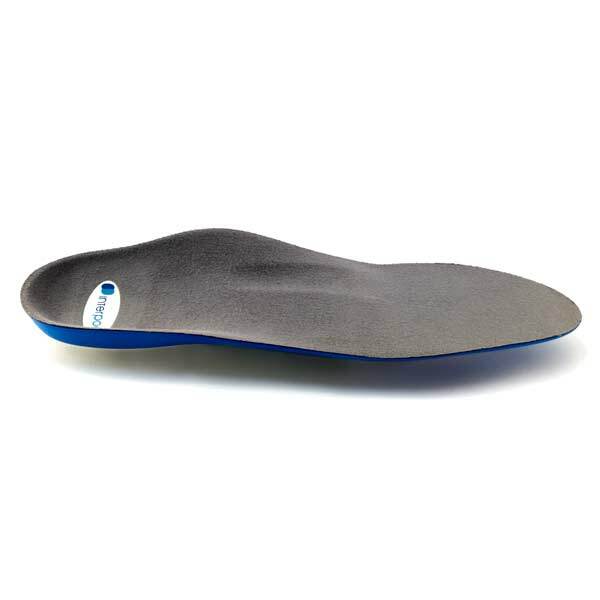 Landorf and Keenan(22) in a comprehensive review of the literature concluded that it is clear that foot orthoses generally have a positive impact on pain and deformity in the feet. They further concluded that foot orthoses do affect position and motion of the foot and lower extremity. While it is still not entirely clear the exact mechanism by which prefabricated foot orthoses exert their effect they are widely used by Podiatrists(25). Current and future research is looking at the “planes of compensation” and how different types of foot orthoses may affect each or all of these. For example, it is highly likely that that those feet that compensate most in the sagittal plane (by collapse of the medial longitudinal arch) will respond most to those foot orthoses that have more support for the midfoot. Another example is that in almost all feet that pronate excessively, as well as the midfoot collapse, the rearfoot everts or goes into valgus. These feet will need wedging under the rearfoot and are not likely to be affected by foot orthoses or supports that merely support the arch or midfoot. 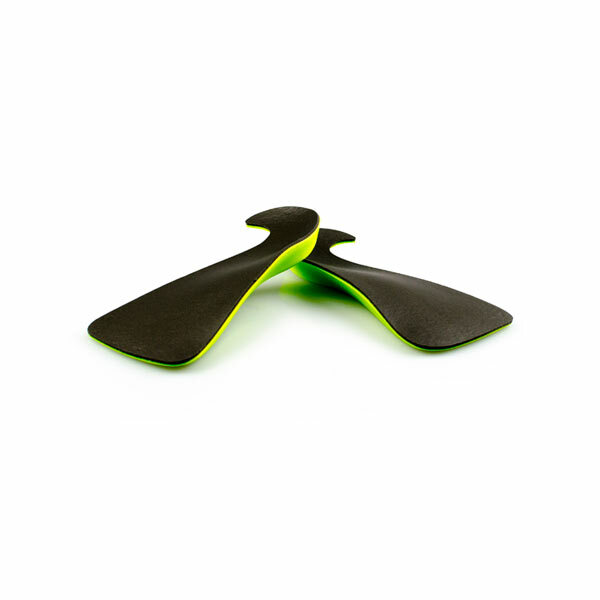 While a lot still remains unclear about how foot orthoses work, they are widely used. 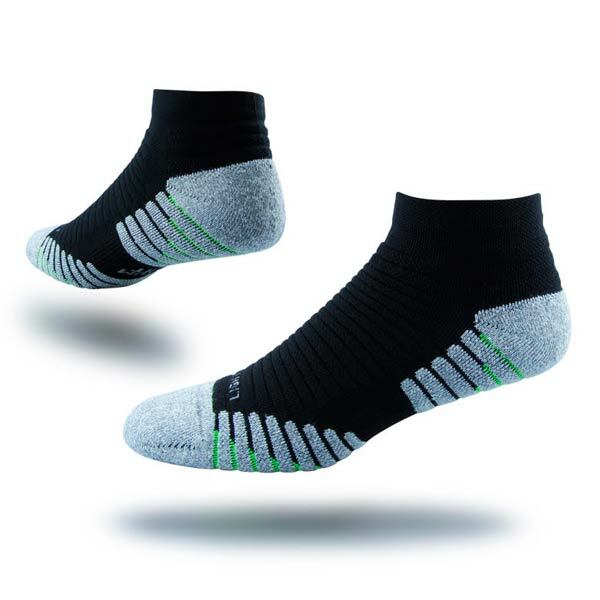 They do reduce the incidence of injury to the lower limb, they do change alignment of the foot, they do improve shock absorption and comfort. They also probably have influences by altering sensory feedback. What is also clear is that not all types of foot orthoses can do all of these, all of the time in all people. As lower arched feet have been shown to have more calcaneal eversion (valgus)(3,4), this shows the importance of these feet having the calcaneus position corrected with wedging as well as some midfoot support for the medial longitudinal arch, ie support or control for the different ‘planes of compensation’. 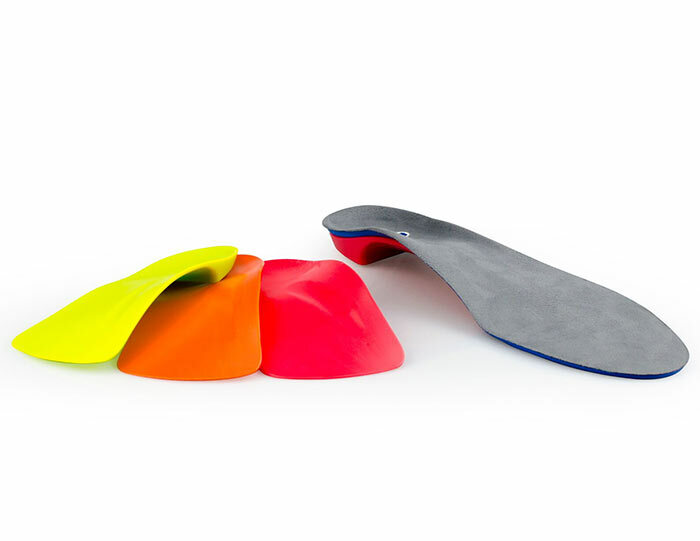 Research at La Trobe University(1) has shown that the range of prefabricated foot orthoses by Interpod both increases the height of the medial longitudinal arch and changes the angle of the rearfoot.